Twenty-one years ago, China resumed its sovereignty over Hong Kong with the establishment of the Hong Kong Special Administrative Region of the PRC on 1 July 1997. The Basic Law – part of the constitution of Hong Kong – was adopted on 4 April 1990 by the National People's Congress of China and provides for a 50-year period during which Hong Kong will be allowed to retain its current political, social, commercial and legal systems, including those that have made it an international financial and business centre. Hong Kong operates a free trade economic system with minimal government intervention. A primary attraction is Hong Kong's legal system, based on English common law and rules of equity, involving adherence to the principles of the rule of law and judicial independence. Many head offices and holding vehicles for Chinese and foreign multinational corporations, financial institutions and regional investors with operations in China and South East Asia, have long maintained their base in Hong Kong. The Hong Kong Stock Exchange is one of the largest globally and a significant proportion of the companies listed on it hold assets and operations in China. Given its proximity to and relationship with China, Hong Kong is often regarded as the primary intermediary platform for trade between mainland China and the rest of the world, and therefore serves a dual role as both conduit for access to the mainland Chinese market and a springboard for Chinese businesses to gain exposure to international markets. Shanghai-Hong Kong Stock Connect was launched in late 2014 to establish mutual stock market access between Hong Kong and the Chinese mainland, with Shenzhen-Hong Kong Stock Connect following in 2016, consolidating Hong Kong's development as the global offshore yuan business hub. A new mutual market access scheme (called Bond Connect) was launched in July 2017, to allow investors from China and overseas to trade in each other's bond markets through connection between the related mainland and Hong Kong financial infrastructure institutions. At present, overseas investors from Hong Kong and other regions may invest in the China interbank bond market through mutual access arrangements in respect of trading, custody and settlement. Overall debt market conditions have remained broadly borrower-friendly, in a low interest rate environment. There is an expectation that at some point liquidity is likely to tighten, which, coupled with rising interest rates, will increase pressure on debtors and expose some of the lower quality deals accepted by yield-hungry lenders. But it seems the market is not there yet. Companies with US dollar-denominated debt may feel some increased pressure as interest rates rise, but this is expected to be a slow process in small increments. However, it seems that globally one would expect to continue seeing sector-specific issues, such as in energy and retail, rather than those led by overall market conditions. 2017 saw the arrival of a new chief executive for Hong Kong, Ms Carrie Lam. In her Policy Address in October 2017, Ms Lam emphasised the Hong Kong government's role as a 'facilitator' and a 'promoter' and the opportunities brought by the Belt and Road Initiative and the Guangdong-Hong Kong-Macao Bay Area. In China, the wall of debt maturities and overcapacity in a number of sectors, against the backdrop of alarming US–China trade disputes, continues to pique distressed debt investors' interest. However, the ongoing mixed ownership reform programme and the availability of domestic capital appear to be helping to address restructurings internally. That said, Chinese dealmaker conglomerates that incurred significant debts for overseas deals, many on short-term maturities, are now having to pay down borrowings, often through a sell down of assets. There seems also to be a reluctance for automatic bailouts so that, unless in a crucial or strategic sector, significant PRC corporations may be left to address their offshore debt defaults alone. Hong Kong operates a generally creditor-friendly approach to distressed enterprises but without the benefit of any statutory corporate rescue procedures (such as administration). However, the trend has continued away from liquidation and towards refinancing. Notwithstanding a small increase in 2009 following the global financial crisis, statistics from the Official Receiver's Office4 show the number of compulsory winding-up petitions presented and orders made has broadly continued to decline. So where, for example, in 2003 the annual total petitions presented was 1,451 of which 1,248 received orders to be wound up, in 2017 the annual total petitions presented was 404, of which 296 were ordered into liquidation. In Hong Kong, the scheme of arrangement has long been an important restructuring tool and that continues to be the case. As a number of entities listed on the Hong Kong Stock Exchange and otherwise are incorporated offshore, parallel schemes running in Hong Kong and the relevant offshore jurisdictions have become more common. Interest in the Chapter 11 process has also grown in Asia over the past few years. The debtor-in-possession approach alongside the purported worldwide moratorium are attractive to the often family run management of large Asian debtors, although the cost can still be seen as prohibitive. The relatively easy grounding of jurisdiction in the US bankruptcy courts despite no US operations or even creditors adds to the attraction for debtors and concern for their bankers. Singapore's recent legislative changes to enhance its existing scheme regime effectively to allow debtor-in-possession restructuring is an interesting development in the region, and it remains to be seen what impact will be felt on views over preferences for debtor- or creditor-led processes. More generally, the increase in alternative credit continues, albeit cash-rich funds remain wary of deploying capital as the availability of loans and low interest rates have kept borrowing costs relatively low, so that depressed returns versus the potentially less predictable security enforcement and court processes in some of the emerging jurisdictions make the risk-to-reward analysis less attractive. Arguably, a trend over recent years has seen non-par investors repackaging existing debt into new instruments sufficiently attractive to other alternative credit providers, but ultimately leaving the underlying problems of the balance sheet unresolved. It remains to be seen whether a tightening of liquidity coupled with perhaps a downward pricing of asset values will impact this model. Provisions covering the winding up of Hong Kong companies and foreign corporations registered in Hong Kong and the insolvency-related regime are found in the Companies (Winding-Up and Miscellaneous Provisions) Ordinance (the Winding-Up Ordinance) and subsidiary legislation. The Winding-Up Ordinance was recently amended by the Companies (Winding-Up and Miscellaneous Provisions) (Amendment) Ordinance 2016 (the Amendment Ordinance) and the new changes came into effect on 13 February 2017. The statutory provisions applicable to individual bankruptcy as opposed to corporate insolvency are contained in the Bankruptcy Ordinance; and discussions below focus on corporate insolvency. However, certain provisions in the Bankruptcy Ordinance are also relevant to corporate insolvency to the extent that the Winding-Up Ordinance applies them specifically by reference. Other legislation that may also be relevant in the context of restructurings or insolvencies include the Transfer of Businesses (Protection of Creditors) Ordinance relating to the transfer of the business of a company in certain circumstances. Insolvency of a Hong Kong company will generally result in a company being wound up by either voluntary or compulsory liquidation, the latter occurring pursuant to court order on a winding-up petition against the company. There are additional statutory provisions that are applicable in the case of certain regulated industries, such as banking and insurance, and there is also power for the government to petition for the winding up of a company if considered expedient in the public interest. Much of the Winding-Up Ordinance and related rules date back to the English Companies Acts of 1929 and 1948, but without English insolvency law revisions for administration. While the government announced that it intends to introduce an insolvency reform bill that will provide for the introduction of a provisional supervision regime, akin to English administration, and the concept of insolvent trading, the timetable for such a bill's introduction remains uncertain. Voluntary liquidation may occur when the company is solvent, which is known as a members' winding up; or when the company is insolvent, which is known as a creditors' voluntary winding up. A voluntary liquidation is started by a members' resolution and then will become a members' winding up if a certificate of solvency is issued by a majority of the company's directors, noting their opinion that the company will be able to pay its debts in full within a period not exceeding 12 months from the commencement of the winding up specified in the certificate. If no certificate of solvency is made or if it is not effective because other prescribed criteria are not satisfied, the winding up will be a creditors' voluntary winding up. The Amendment Ordinance has enhanced the requirements relating to the first creditors' meeting upon the commencement of a creditors' voluntary winding up. The legislation also, uniquely, provides for a procedure allowing directors of a company to commence voluntary liquidation without holding a shareholders' meeting. Instead, the voluntary liquidation is initiated by a directors' meeting, resolving (among other things) that the company cannot by reason of its liabilities continue its business, the directors consider it necessary to be wound up and that it is not reasonably practicable for the company to be wound up under any of the other procedures prescribed in the legislation, giving supporting reasons. The Amendment Ordinance has introduced additional safeguards to reduce the risk of abuse in a director-initiated creditors' voluntary winding up. In any event, the procedure is not frequently used, given the general availability of other procedures. Compulsory winding up pursuant to a court order is based on a petition presented usually by a creditor, although a shareholder or the company itself may also petition in appropriate circumstances. The legislation provides various grounds upon which a petition can be presented, the most common of which is an inability of the company to pay its debts, a matter that may either be proved on the balance of probabilities by the petitioner or deemed where the company has failed to pay or otherwise satisfy a statutory demand within three weeks of that demand being served on the company; and another of which is that it is just and equitable for the company to be wound up. The legislation does not provide a specific definition of 'insolvency', instead, referring to the inability to pay debts, which is deemed to have occurred on satisfaction of one or more of the bases prescribed in Section 178 of the Winding-Up Ordinance. In considering an inability to pay debts, the court may consider applying either the cash flow or the balance sheet test. For a creditor to bring a winding-up petition, there must be a debt (present, contingent or prospective) for a liquidated sum due from the debtor company to the creditor. Where the debt is not yet due, but is to fall due in the future or is contingent, the court will not hear the petition unless security for costs are provided and a prima facie case for winding up is demonstrated. If a debt is the subject of a genuine dispute, it cannot found the basis of a winding-up petition. Further, for the debt to be capable of supporting a winding-up petition, it must be at least HK$10,000. In Hong Kong there is no requirement for liquidators to be licensed, as is the case in certain other jurisdictions. Even so, in practice, appointed liquidators are licensed insolvency practitioners, accountants or other professionals with the requisite commercial experience. In general terms, a court-appointed liquidator is required to investigate the affairs of the company in order to get in and realise its assets, before applying those realisations in discharge of the company's liabilities, which will include investigating the conduct of the company's past and present office holders to consider whether any wrongful conduct or criminal offence has been committed against the company. In fulfilling these functions, liquidators have broad powers at their disposal, some that require sanction of the court or of a committee of inspection (if there is one) before being exercised (such as making any compromise or arrangement with the company's creditors, contributories, claimants or debtors, and disclaiming onerous property); and some that do not (such as realising the property of the company and dealing with proofs of debt). The committee of inspection is appointed at a meeting of creditors and is intended to be representative of the creditors of the company and capable of taking decisions in the interests of all creditors. Outside the powers only exercisable with sanction, it is for the liquidator to decide how frequently the committee of inspection is to be consulted. The Amendment Ordinance introduced a number of changes aimed at simplifying the proceedings of the committee of inspection and promoting court-free procedures, thereby potentially reducing the time and costs involved in the winding-up process. Workout arrangements, pursuant to which a debtor company enters into contractual arrangements with its bank and other creditors, continue in Hong Kong and may be used in conjunction with a scheme of arrangement, as discussed above. The non-statutory guidelines issued jointly by the Hong Kong Association of Banks and the Hong Kong Monetary Authority provide principles as to how banks should deal with customers in financial difficulty, encouraging a standstill, during which an information gathering assessment can be undertaken with a view to reaching an informal decision as to the customer's long-term future. Although non-statutory, banks are expected to adhere to the guidelines and to act cooperatively and in an expeditious manner in trying to agree a restructuring plan, and will be subject to scrutiny from the regulators if they fail to do so. However, the guidelines are applicable only to banks and, therefore, other creditors such as bondholders, hedge funds, employees and trade creditors may proceed with enforcement actions during the period in which banks are seeking to implement a restructuring plan with the debtor company. While a mechanism referred to as 'provisional supervision' was put forward by the government more than 15 years ago, Hong Kong continues to operate without a formal procedure by which a distressed company can reorganise its debt obligations and trade out of difficulties, such as administration in the UK or Chapter 11 in the United States. 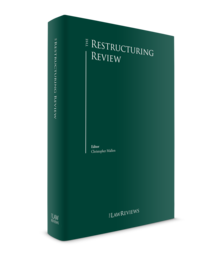 The primary restructuring tool available, therefore, remains the scheme of arrangement, which can be used for both insolvent and solvent companies. Schemes may be used to supplement informal contractual workouts implemented by multibank creditor groups or other creditor constituencies. As schemes of arrangement do not provide a statutory moratorium, there remains a risk of a creditor taking enforcement action, including winding-up proceedings, after a scheme of arrangement has been initiated. For this reason, schemes of arrangement in the insolvency context are frequently undertaken in conjunction with provisional liquidation (where appropriate) or liquidation, to create the necessary moratorium. The Legend case5 confirmed that restructuring alone is not sufficient to found the appointment of provisional liquidators so that an applicant will still have to show concern as to, for example, potential dissipation of the company's assets and that it may reasonably be expected that liquidation will ultimately ensue. See Section III. If the company is being wound up, an application to court to convene a creditors' meeting to propound a scheme must be made by the liquidator or provisional liquidator. The court will consider whether the terms of the scheme are fair and could be supported by creditors exercising reasonable judgment. However, Hong Kong has not fully moved with the updated position in England so the court at the first hearing is not obliged to consider whether the classes of creditors involved in the scheme have been appropriately constituted. Therefore, there remains the risk of creditor classification being called into question at the second hearing, at which sanction is sought. The scheme will be legally binding on the company and the scheme creditors – including those scheme creditors who voted against the scheme and those who do not vote – if at the scheme meeting, the requisite majority representing a majority in number and at least 75 per cent in value of the creditors present and voting, in person or by proxy, at the meeting vote in favour of the scheme; the court sanctions the scheme; and an office copy of that order is registered by the registrar of companies in Hong Kong. Hong Kong law recognises four forms of consensual security: the mortgage, the charge, the pledge and the lien. The formalities required for effective security, such as registration, will depend on the form of security. Failure to register a registrable charge will result in the charge being ineffective against a liquidator and any creditor of the company, although it will not affect the validity of the charge itself as between the parties to the security. Certain classes of assets (such as maritime vessels and aircraft) have separate registries, and registration will be required or expected at the relevant registry. Secured creditors having a fixed charge will rank first for distributions from a company in liquidation. They are generally entitled to claim as unsecured creditors for any balance that remains unpaid after realisation of the security. Where a company has granted a fixed and floating charge debenture (usually in favour of its bankers) over its undertaking, property and assets, the usual method of enforcement is through the appointment of a receiver. A receiver may be appointed outside liquidation but receivership is often indicative of insolvency. The validity of a floating charge created within 12 months if the person in favour of whom the floating charge is created is not connected with the company (or within two years if the person in favour of whom the floating charge is created is connected with the company) prior to the company's winding up may be susceptible to challenge by the company's liquidator to the extent that new monies were not advanced. Directors' duties (statutory and fiduciary) are owed to the company. While a company is solvent, the duty to act in the company's best interests is generally assessed by reference to the interests of shareholders, whereas upon insolvency the interests of creditors will supersede those of shareholders in that assessment. The codification of the duty of care, skill and diligence for directors now found in the Companies Ordinance7 is based on Section 174 of the UK Companies Act 2006 and therefore applies a dual objective/subjective standard to directors' duty of care. The Winding-Up Ordinance8 provides a summary method of enforcing existing duties owed by past and present officers (who include directors, managers and company secretaries) of a company subject to winding-up proceedings. Conduct that may give rise to liability under this section might include a breach of directors' duties, or claims arising from preferences or fraudulent trading. A liquidator is the agent of the company and on appointment displaces the directors and assumes their powers and functions in respect of the company. The directors remain obliged to assist the liquidator in the course of the winding up, and failure to provide the required assistance may result in civil and criminal penalties being imposed on the offending directors. In contrast, the liquidator does not owe duties to the directors of the company and is not required to keep the directors apprised of his or her activities. liquidator actions: In addition to company actions, there are a number of special powers given to a liquidator that can be invoked to avoid or reverse the effect of certain transactions that would have remained binding on the company but for its liquidation. These 'avoidance powers' are available only in the context of winding-up proceedings and are contained in legislation. If a company is compulsorily wound up within one year of a payment out of capital under statutory procedures for redemption or buy-back of any of its own shares, the Amendment Ordinance now provides that directors who signed the solvency statement in relation to the payment out of capital and past shareholders will be jointly and severally liable to contribute to the assets of that company. It is a defence for a director to show that he or she had reasonable grounds for believing the opinion expressed in the solvency statement. transactions made with the intention of defrauding creditors: The standard of proof is high and consequently it can be difficult to pursue this action. In the wake of the recent global financial crisis, the Financial Stability Board was tasked with developing a robust approach to allow systemically important financial institutions to fail safely. Given Hong Kong's status as an international financial centre and a Financial Stability Board member jurisdiction, the Financial Institutions (Resolution) Ordinance was enacted by the Legislative Council on 22 June 2016 and its commencement date was designated as 7 July 2017 (with the exception of certain provisions, requiring the finalisation of additional rules). The Ordinance is intended to establish a cross-financial sector resolution regime that is designed to strengthen the resilience of Hong Kong's financial system and operates in the banking, insurance and securities and futures sectors. The Hong Kong Monetary Authority, the Insurance Authority and the Securities and Futures Commission are given powers as resolution authorities, including the powers to: impose a write-off or conversion of capital instruments issued by authorised institutions; resolve a holding company or group company of an entity within scope; and give effect to a resolution action taken by an overseas counterpart. Where a failing financial institution operates across more than one sector, one of the authorities will coordinate resolution as lead resolution authority. Various stabilisation options are provided under the Ordinance, which the relevant resolution authority can apply individually or in combination, broadly: transfer of the failing financial institution, or some or all of its business, to a commercial purchaser, a bridge institution or asset management vehicle; statutory bail-in; and, as a last resort, taking the institution into temporary public ownership (involving the use of public funds). Where a resolution process is cross-border in nature, a key question is whether foreign jurisdictions will recognise each other's resolutions. The Ordinance provides for recognition to give effect to measures adopted by the foreign authority and supportive measures by the Hong Kong authorities to support the resolution action being taken by the foreign authority. Hong Kong is a gateway to business around Asia and investors continue to appreciate the certainty of its legal system and application of the rule of law. For a variety of reasons, including legal and tax considerations, enterprises running businesses through Hong Kong – whether listed in Hong Kong or not – will often do so using corporate structures involving several jurisdictions. In addition, the assets underpinning those businesses are frequently situated outside Hong Kong. It is inevitable, therefore, that the growing global trend of cross-border insolvencies needs to be addressed in Hong Kong. Two associated aspects have been the subject of continued judicial consideration: jurisdiction of the Hong Kong courts to enable provisional liquidators appointed in Hong Kong to pursue restructurings and recognition of foreign liquidation proceedings. It should be noted that Hong Kong has not enacted the United Nations Commission on International Trade Law Model Law on Insolvency, so there is no statutory process for the formal recognition of foreign proceedings. Consequently, the courts must rely on common law principles and the ingenuity of practitioners. As noted above, schemes remain an important restructuring tool in Hong Kong but the absence of a statutory moratorium means that corporate debtors have frequently sought provisional liquidation to provide a stay on proceedings while a restructuring is mapped out through a proposed scheme. Since the Legend decision, the general view has been that Hong Kong law does not strictly allow 'soft touch' provisional liquidation to restructure a company. In a first in Hong Kong, the Companies Court sanctioned a creditors' scheme of arrangement proposed by a Bermuda-incorporated, Hong Kong-listed company by approving an alternative process pursued by the company and its provisional liquidators so as to overcome the constraints in Legend. In Z-Obee Holdings Limited,15 a winding-up petition was initially presented in Hong Kong for the winding up of the company and on the same day, a summons was filed seeking the appointment of provisional liquidators. While provisional liquidators were initially appointed by the Companies Court so as to preserve the assets of the company, once those duties had been discharged, the primary matter remaining for consideration by the provisional liquidators was a potential restructuring of the company. Mindful of the potential limitations in Hong Kong, the provisional liquidators took steps to invoke the jurisdiction of the company's place of incorporation (Bermuda), where provisional liquidators may be appointed, in appropriate circumstances, to facilitate a restructuring. The Hong Kong provisional liquidators were subsequently appointed as provisional liquidators by the Bermuda court and obtained recognition in Hong Kong by a letter of request in a procedure that is now well established in the Hong Kong Companies Court. The Hong Kong provisional liquidators were then discharged, the Hong Kong winding-up petition stayed and a restructuring of the company proceeded with the company having the protection of a statutory moratorium by reason of it being in provisional liquidation in Bermuda. This alternative process mitigated the risk that the Hong Kong court might proceed with the winding up of the company, which would preclude any restructuring. The schemes to implement the restructuring were then sanctioned by the courts of both Hong Kong and Bermuda and the shares of the restructured Hong Kong-listed company resumed trading. The companies judge also directed the parties to consider how the recent Guidelines for Communication and Cooperation between Courts in Cross-Border Insolvency Matters formulated by the Judicial Insolvency Network could potentially be applied in this case. The guidelines aim to enhance the efficiency in the administration of parallel insolvency proceedings by establishing a framework for close cooperation between courts of different jurisdictions. A similar scenario arose for Changgang Dunxin Holdings Limited, incorporated in the Cayman Islands. To address the potential limitations provided by Legend, the Hong Kong-appointed provisional liquidators sought their appointment as Cayman provisional liquidators to enable them to exercise the broader restructuring powers more clearly available in that jurisdiction. This proposal was sanctioned by the Hong Kong court, leading to: an application for common law recognition of the Hong Kong provisional liquidators' powers as foreign liquidators to act in the name and on behalf of the company for the limited purpose of making an application to wind it up in the Cayman Islands and to be appointed as Cayman provisional liquidators; following recognition being granted in the Cayman Islands, the presentation of a winding up petition in the Cayman Islands and the issue of an application for the appointment of the Hong Kong provisional liquidators as Cayman provisional liquidators; with a subsequent discharge of the Hong Kong provisional liquidators and their Cayman appointment recognised in Hong Kong, the Cayman provisional liquidators will then be able to undertake the proposed preparation and promotion of parallel schemes of arrangement by in the Cayman Islands and Hong Kong. It was not clear whether common law recognition could be used to permit foreign insolvency representatives (i.e., appointed somewhere other than the place of incorporation of the company) to present a petition to wind up a company in its place of incorporation and seek their own appointment as provisional liquidators. In Singularis Holdings Ltd v. PwC,16 the Privy Council held that liquidators appointed in the Cayman Islands (the place of incorporation) could not be treated as if they had been appointed in Bermuda, where the relevant statutory power was broader: the Supreme Court of Bermuda could only provide assistance if the Cayman Court could make the equivalent order. By contrast, Changgang's Hong Kong provisional liquidators were seeking to bring the proceedings back to the place of incorporation and to be appointed provisional liquidators in the Cayman Islands; and were not seeking 'as if' recognition. Therefore, the restrictions set out in Singularis were not applicable to their application. In Re China Solar,17 the Hong Kong Companies Court (at first instance) has determined that where warranted by the circumstances, provisional liquidators may be given restructuring powers and pursue the restructuring through to completion, clarifying the position post Legend. Provisional liquidators were appointed to China Solar Energy Holdings Limited (China Solar), a Bermuda-incorporated, Hong Kong-listed company, on the basis that provisional liquidators were needed to safeguard the company's assets and to investigate transactions entered into by the company. Their powers on appointment included an ability to pursue a restructuring. A creditor later issued a summons for, inter alia, the winding up of the company and the discharge of the provisional liquidators, arguing that because they had finished their asset preservation role the primary remaining focus would be the company's restructuring, which should be impermissible as a result of the Legend18 decision. In dismissing the application, the companies judge confirmed that provisional liquidators should not be appointed for the sole purpose of restructuring; however, provisional liquidators may be given restructuring powers in appropriate circumstances and should be permitted to complete the restructuring, even if they have completed asset preservation and other tasks. Termination of their office because restructuring is the remaining primary task would be inconsistent with the statutory purpose underlying their appointment. While the place of incorporation is frequently considered the appropriate forum for the winding up of a company, many Caribbean-incorporated companies are registered in Hong Kong with listings, creditors and assets there, and it seems that the Hong Kong provisional liquidation regime can continue to aid such companies achieve a restructuring without the need for recognitive contortions. In Singularis,19 the Privy Council Board considered the doctrine of modified universalism (whereby, broadly speaking, a court will give such assistance as it can to foreign insolvency proceedings, consistent with local law and local public policy, to ensure that a company's assets are distributed under a single system), and held by a majority that there was a common law power to assist a foreign insolvency, although the power could not be used to enable foreign liquidators to do something that they could not do under the law of the liquidation under which they were appointed. The application of such a power has resonated with similar common law jurisdictions globally. in the exercise of its common law powers the Hong Kong Companies Court can order the oral examination of a director of a Cayman Island company in liquidation in the Cayman Islands if satisfied that it is necessary and that it would not infringe the established limitations on the exercise of the power conferred by section 221 [of the Winding-Up Ordinance]. The Companies Court reiterated its view in Bay Capital Asia26 that banks should give assistance to foreign liquidators seeking information on receipt of a letter of request, albeit without a Hong Kong court order, having satisfied themselves that the liquidators have been appointed by the court of the place of the company's incorporation. This approach is consistent with the principle of modified universalism, the rationale underlying the common law power of assistance and the means by which, absent being a party to the UNCITRAL Model Law on Cross-Border Insolvency, the Hong Kong Companies Court is able to recognise and grant assistance to foreign insolvency proceedings. The continued line of decisions shows that to the extent established common law principles require the Hong Kong court to recognise foreign liquidators, it is both prepared and willing to provide assistance to them in appropriate circumstances. Recent examples of schemes are becoming increasingly cross-border in nature given the mix of creditor constituencies involving bank debt as well as bonds subject to, for example, New York law. The result increasingly requires parallel schemes in Hong Kong, the relevant offshore jurisdiction (such as Bermuda, the Cayman Islands or British Virgin Islands, where companies listed in Hong Kong are frequently incorporated) together with Chapter 15 recognition in the United States, with a view to ensuring that claims in all relevant jurisdictions are extinguished. Kaisa Group is one of the leading Chinese real-estate property developers listed on the Hong Kong Stock Exchange, with interest-bearing borrowings in the billions of dollars, and has borrowings in China and offshore, through a mixture of bank and bond debt. Its default was the first time that a major property company operating exclusively in the PRC had defaulted on its offshore debt. Schemes of arrangement were sanctioned in both Hong Kong where Kaisa was listed and the Cayman Islands where it was incorporated; and the United States Bankruptcy Court for the Southern District of New York provided recognition of the scheme of arrangement proceedings then pending before the High Court of Hong Kong under Chapter 15 of Title 11 of the United States Code. Winsway, a BVI-incorporated, Hong Kong-listed company, focused on providing coal for China's steelmakers. Winsway had debts involving onshore secured and unsecured bank borrowings and offshore US dollar-denominated bonds. Suffering because of the declining demand for Chinese steel and therefore Winsway's coking coal, it missed a coupon payment on the bonds. Winsway implemented a restructuring through parallel schemes of arrangement in Hong Kong and the British Virgin Islands. The bonds being governed by New York law, recognition of the Hong Kong and British Virgin Islands proceedings was obtained under Chapter 15 of the US Bankruptcy Code. Mongolia Mining Corporation (MMC), a Cayman Islands-incorporated, Hong Kong-listed company, mines and sells coal in the Chinese market for use in the manufacture of steel. MMC's debt profile included a syndicated loan, offshore bonds and a subordinated promissory note. Similar to Winsway, MMC suffered from the declining Chinese steel production. Having missed an interest payment on its syndicated loan, MMC cross-defaulted on its bonds. MMC petitioned for its own winding up in the Cayman Islands, seeking the appointment of provisional liquidators for the purpose of effecting a restructuring of its debts. A simultaneous restructuring of the syndicated loan, bonds and promissory note was effected through parallel schemes of arrangement in the Cayman Islands and Hong Kong. Chapter 15 recognition of the Cayman Islands scheme of arrangement was obtained, given the bonds were governed by New York law. A typical restructuring in Hong Kong will involve an offshore, Hong Kong-listed entity with debt governed by offshore law (for example New York law), as demonstrated by the scheme cases above. It is not uncommon to see that the law governing a loan document is different from that of the debtor company's place of incorporation. The recent IBA case before the English courts31 has brought back under the spotlight the Gibbs principle,32 which broadly provides that a debt governed by English law cannot be discharged or compromised by a foreign insolvency proceeding. Singapore appears to have declined to follow the Gibbs principle,33 but it is applied in Hong Kong, where it remains the case that (broadly): (1) a debt governed by Hong Kong law cannot be discharged or compromised by a foreign insolvency proceeding unless, broadly, the relevant creditor submits to the foreign insolvency proceeding; and (2) Hong Kong creditors' rights under Hong Kong law-governed debt can only be compromised in a Hong Kong law-governed process. The use of a parallel scheme of arrangement in Hong Kong – although adding to the cost of the restructuring process – alongside the foreign proceeding would likely overcome the concern of 'outlier' creditors. In certain restructurings, such as of LDK Solar Co Ltd34 and Z-Obee,35 debts dealt with by the Hong Kong schemes were at least in part governed by Hong Kong law. This generally assists in satisfying the 'sufficient connection' test when the court considers sanction of a Hong Kong scheme for a foreign-incorporated company and also alleviates the potential concern that a scheme compromising purely foreign-law debt would be inconsistent with the common law rule in Gibbs that a foreign composition does not discharge a debt unless it is discharged under the law governing the debt. In Winsway, the debt subject to the Hong Kong scheme of arrangement was governed exclusively by New York law. However, the law governing the debt was not the only factor to be taken into account when considering a sufficient connection with Hong Kong. Further, regardless of the governing law of the debt, the Hong Kong scheme would prevent a dissident creditor taking action within the jurisdiction of the Hong Kong courts: one of the principal reasons for proposing a scheme in Hong Kong. The court was also satisfied that the purpose of the scheme was likely to be achieved, as Chapter 15 recognition was likely to be granted in respect of the New York law-governed bonds, and, therefore, the Hong Kong court sanctioned the Hong Kong scheme, compromising debt governed exclusively by foreign law. The United Nations Commission on International Trade Law (UNCITRAL) adopted the Model Law in light of the increasing incidence of cross-border insolvencies; and because national insolvency laws were recognised to have limited provision for cases of a cross-border nature, resulting in inconsistent legal approaches. Currently, there is no statutory provision empowering a Hong Kong court to render assistance to a foreign court in an insolvency matter, as Hong Kong has not adopted the Model Law in its domestic legislation, or any other legislation to similar effect (except with regard to certain aspects of arbitration). The approach taken by the Hong Kong courts to cross-border insolvencies has been pragmatic. There is increasing acknowledgement of the need for courts from different jurisdictions to assist one another where possible and to address the common law recognition of foreign liquidators (see Section III). The Hong Kong courts have a broad jurisdiction to wind up companies in Hong Kong. This extends not only to companies that are incorporated in Hong Kong, but also to overseas companies registered in Hong Kong and unregistered companies, providing certain requirements are met. In the Lehman Brothers liquidations, where there are a number of office holders in different countries, the Hong Kong liquidators of certain key affiliates were instrumental in implementing a cross-border protocol for dealing with information sharing and creditor resolution proposals. Notably absent from the Amendment Ordinance is any provision for some form of statutory corporate rescue procedure. 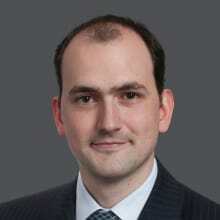 1 Tom Pugh is a partner at Mayer Brown JSM. 2 See 'Economic and Trade Information on Hong Kong' research from the Hong Kong Trade Development Council, at www.hktdc.com/Research (Economic Factsheet). 5 Re Legend International Resorts Ltd  2 HKLRD 192. 6 Joint Official Liquidators of A Co v. B Co  4 HKLRD 374; and see Section IV. 7 Section 465, Companies Ordinance. 8 Section 276, Winding-Up Ordinance. 9 Re MC Bacon Ltd (No. 1)  BCLC 324 at 336. 12 Paragraph 7, Plus Holdings. 21 Ibid at paragraph 6. 22 The Joint Administrators of African Minerals Ltd (in administration) v. Madison Pacific Trust Ltd and Shandong Steel Hong Kong Zengli Limited  HKEC 608. 24 Ibid at paragraph 7. 26 Bay Capital Asia LP v. DBS Bank (Hong Kong) Ltd  HKEC 2377. 27 Re Supreme Tycoon Limited  HKCFI 277. 28  AC 1675 at . 29 This view diverges from that expressed by the Singapore High Court in Re Gulf Pacific Shipping Ltd  SGHC 287, which relied on a US Bankruptcy Court of Nevada decision concerning recognition of an Australian members' voluntary liquidation under Chapter 15 of the US Bankruptcy Code. 30 See Re Drax Holdings Ltd  1 WLR 1049. 31 In The Matter Of The OJSC International Bank of Azerbaijan and In The Matter Of The Cross-Border Insolvency Regulations 2006  EWHC 59 (Ch). 32 Antony Gibbs & Sons v. La Société Industrielle et Commerciale des Métaux (1890) LR 25 QBD 399. 33 Pacific Andes Resources Development Ltd  SGHC 210. 34 Re LDK Solar Co Ltd  HKCU 2855. 35  1 HKLRD 165 at paragraph 17.